Should I buy a diesel or petrol car? With diesel scandals rife across manufacturers, how do you know whether you should still buy a diesel? There’s long been a bit of a stench around diesel, but with the Volkswagen scandal and big cities in Europe now considering banning them, it seems to be a fuel source that’s more on the nose than ever. So, should you buy one? Many moons ago, diesel was mainly found in farm machinery and long-haul trucks, and the price per litre was subsidised for agricultural providers. The advent of turbocharging in particular brought diesel engines into passenger cars and they have been hugely popular in Europe for many years now, where diesel is typically cheaper than petrol. Diesel is less volatile than petrol and thus needs higher compression and special heating elements in the combustion chamber to make cold starts possible Once it’s up and running, though, a diesel engine is extremely economical and will use around 30 per cent less fuel than a comparable petrol unit. With diesel prices now hovering around the same as regular unleaded this makes them look attractive, particularly against sportier cars which demand Premium Unleaded, at up to 20c a litre more. Generally, though, you will pay extra up front for a diesel-powered car, up to 10 to 15 per cent more, so you need to get a calculator and work out how many years it will take for you to recoup that initial outlay in pump savings. In simple terms, if you drive a lot of kilometres, the fuel economy of the diesel will be attractive, and even more so if petrol prices continue to rise. Getting more off a tank means fewer trips to the servo, which can save you time and calories (curse those tempting chocolate-covered counters). If you’re buying a small, cheap car, which will be economical even with a petrol engine, then the extra cost impost is harder to justify. In driving terms, diesel engines lack excitement because they don’t like rev high like petrol engines, but they make up for it in a big way at the bottom end. Torque is diesel’s super power, and that means big shove off the line as well as the ability to tow heavy things. Because of all that torque, diesel economy doesn’t rise as fast as petrol when you add a load, which is why it’s the fuel of choice for heavy trucks. In the long run, diesel vehicles can tend to depreciate faster than petrol ones (particularly if they’re VWs) and the risk is that this situation might get worse, considering what we now know about emissions. Modern diesels are sold as being safe and clean, but recent research has revealed an inconvenient truth. A real-world test on 29 ‘Euro 6’-compliant diesels has revealed that all but five breached pollution limits, with some recording up to 27 times the amount of toxic emissions allowed. Major manufacturers such as Mazda, BMW and Volkswagen, all of which sell the same diesel engines here, failed to match their laboratory results in the tests - conducted for The Sunday Times newspaper in the UK - emitting dangerous and illegally high levels of nitrogen dioxide. The Mazda6 SkyActiv diesel produced four times its Euro 6 limits, BMW’s all-wheel drive X3 made nearly 10 times the allowance and Volkswagen’s Touareg was measured at an astonishing 22.5 times the maximum set by EU regulations. The Kia Sportage was even worse, however, pumping out 27 times the Euro 6 limit. Exposure to nitrogen dioxide causes severe lung and heart disease, as well as an increased susceptibility to asthma, allergies and airborne infections. The toxic gas is also linked to sudden infant death syndrome, miscarriages and birth defects. The World Health Organisation estimates that nitrogen dioxide causes more than 22,000 deaths every year in Europe, where roughly half of all cars are oil burners. Diesels make up about one fifth of the Australian fleet, but the number of them on our roads has jumped by more than 96 per cent in the past five years. Australians are now burning nearly three billion litres of diesel a year in cars alone, with a further 9.5 billion litres used in commercial vehicles. About 80 per cent of nitrogen dioxide pollution in Australian cities comes from cars, trucks, buses and bikes. One of the cars to breach the Euro limits in the UK test was the Mazda6 diesel, powered by the same 2.2-litre ‘SkyActiv’ unit that goes into the CX-5. Mazda Australia sells nearly 2000 CX-5s per month, with diesel taking one in every six sales. The SkyActiv diesel tested generated four times the Euro 6 limit on average as it travelled along an urbanised route. A Mazda UK spokesman said that while it failed the test, Euro standards are more about consistency of measurement than real-world emissions. “The current test is designed to demonstrate differences in cars based on strict laboratory conditions, giving consistency across all manufacturers and allowing customers an opportunity to make their choice based on data achieved under identical conditions,” Mazda says. “The test cycle is not perfect but does give the consumer a benchmark by which to choose a car based on those factors that are important – environmental and financial. Mazda’s disappointing results were eclipsed by the Kia Sportage, which pumped out more than 20 times the allowed level of nitrogen dioxide. Kia Australia spokesman Kevin Hepworth would say only that Kia vehicles meet standards for emissions. “The cars we bring into Australia are compliant with Australian Design Rules,” he said. The WHO estimates that air pollution causes 3.7 million premature deaths per year worldwide, calling it ‘the world’s largest environmental health risk’. Two of the main and most dangerous compounds in air pollution are nitrogen dioxide and particulate matter; the superfine soot found in diesel exhaust. Australia’s air is among the cleanest in the developed world, but even so, air pollution kills more than 3000 Australians a year, nearly three times the number that die in car accidents. The Australian Medical Association says Australia’s pollution standards put us at greater risk of exposure to noxious chemicals. “Current air-quality standards in Australia lag behind international standards and have failed to keep pace with scientific evidence,” the AMA claims. 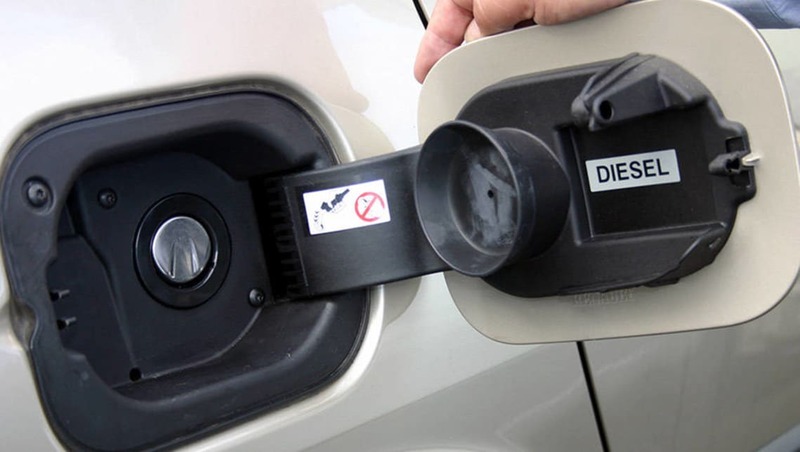 Diesel still enjoys a reputation in Australia as an environmentally friendly option, with better fuel economy meaning less carbon dioxide released, and modern diesels are marketed as high-tech units that burn cleanly. While that might be true in a laboratory, the real-world tests prove it’s a load of hot, foul air. Are the efficiency advantages and pulling power enough to make you consider a diesel? Let us know in the comments below. What is the penalty for driving without a licence?